The Titan Powerchair is perfect for users on the go as it can be disassembled, without tools, and loaded easily into a car for easy transportation. Front wheel drive system for optimum manoeuvrability. Detachable padded and adjustable armrests to suit comfort of user. 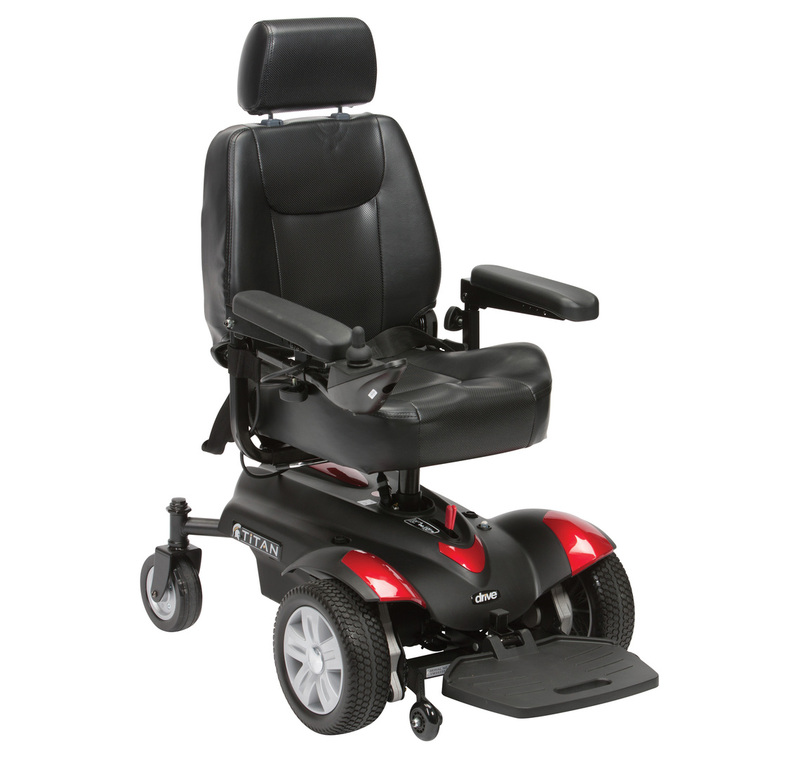 Height adjustable and reclining seat to suit comfort preferences. Height adjustable and removable headrest to suit user requirements. Solid non-marking tyres provide durability and low maintenance. Front anti tip wheels as standard.